Fill your belly with pancakes, soak up some Russian culture, and bid farewell to winter by watching ballet and listening to folk music. 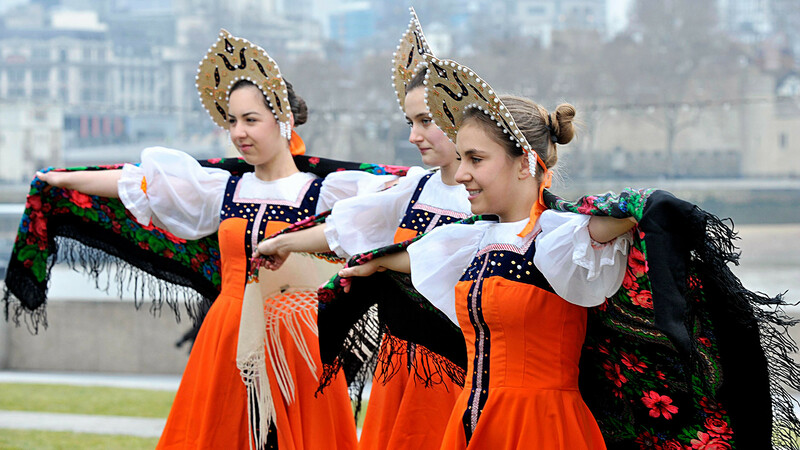 Dance under the balalaika, watch a Russian movie, check out some of the best Russian art, and of course eat as much you can: This is what we recommend you do during Russian pancake week in London. This year Maslenitsa is being celebrated in the English capital for the 10th time. It will take place on Feb. 11-18 and feature Russian fashion, theater, films, music, literature, cooking, and contemporary art. A big concert at Cadogan Hall, that has already become a tradition, will wrap up the feast. Here’s a schedule of the most interesting events. For more information visit maslenitsa.co.uk. 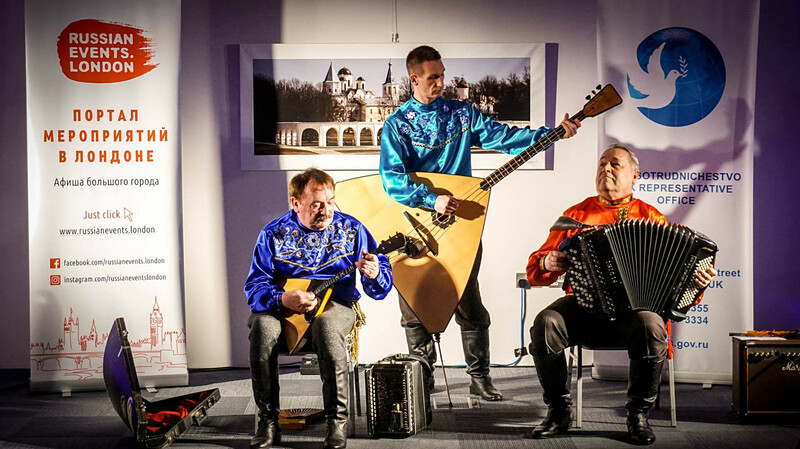 Virtuoso balalaika player Bibs Ekkel and his trio will bring pancakes and samovar, and play their best tunes. Strongly recommended for fans of folk and romance. 7p.m. / Rossotrudnichestvo. For tickets click here. An exhibition exploring the Revolution in visual arts is only open until Feb. 18, so don’t miss out on your chance to see artworks created by Russian and Soviet artists over five decades, from the 1905 Revolution to Joseph Stalin’s death in 1953. A winner of Venice’s Silver Lion in 2016, the historical drama Paradise shows life in Nazi concentration camp. By the way, Zvyagintsev’s movies are on show in London throughout February. Check the schedule here. 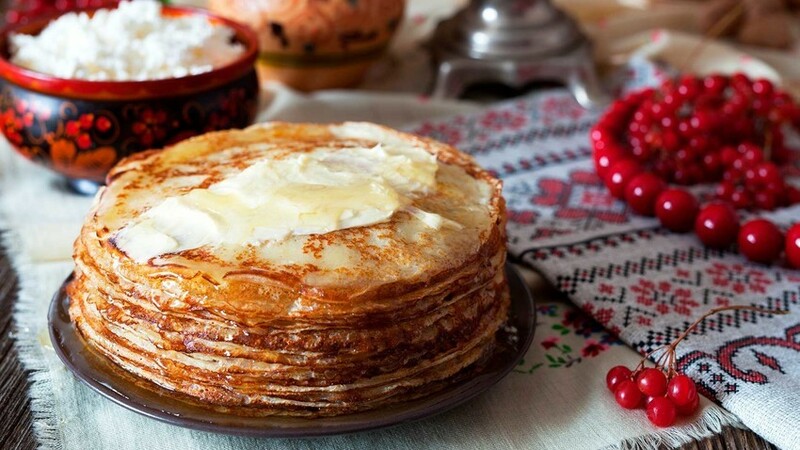 Most Russians get excited about Maslenitsa because of pancakes! Marivanna restaurant will be serving them up and also celebrating St. Valentine’s Day, so you will be able eat and love like Russians do! 6:30 p.m. / Marivanna. 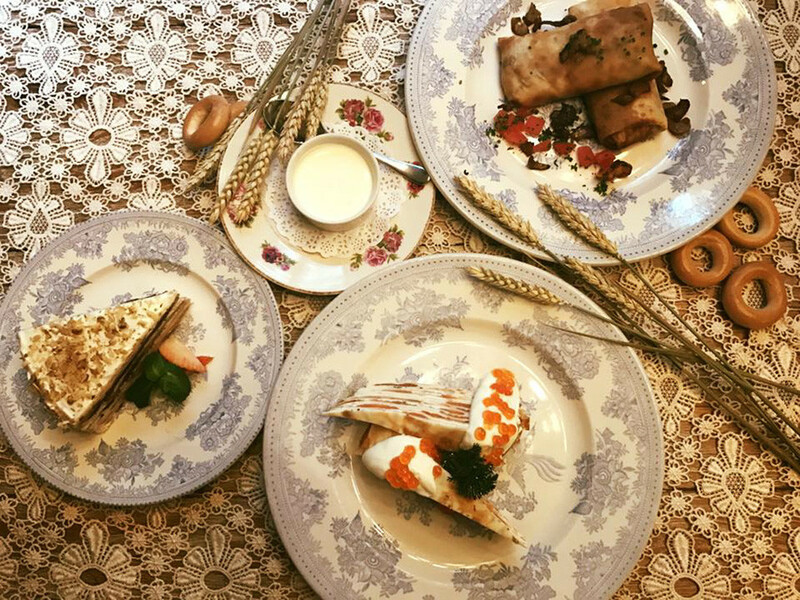 For reservations and more information: www.marivanna.ru When ordering please quote “Maslenitsa” and receive a complimentary drink from Marivanna herself. Explore the history of the feast through an authentic culinary experience with food enthusiast Karina Baldry. 7 p.m. / Pushkin House. Tickets (£45) are available on www.pushkinhouse.org. Enjoy the evening concert listening to the likes of the Russian Souvenir Ensemble, violinist John Gallant, soprano Diana Gouglina, pianist Julian Gallant, M. TURETSKY SOPRANO, Mazaika duo, and vocal group Kvatro - and watching the Natalia Kremen Ballet School. There will be a Russian fair with specialities and souvenirs available before the concert. During London Fashion Week designer Olga Roh will show her new collection “Shall we dance?” Autumn-Winter 2018-2019. Bring some Russian Maslenitsa to your kitchen. Explore our 3 unusual pancake recipes.